The only chance I had to sketch this week was just before my weekly groceries shopping on Saturday. 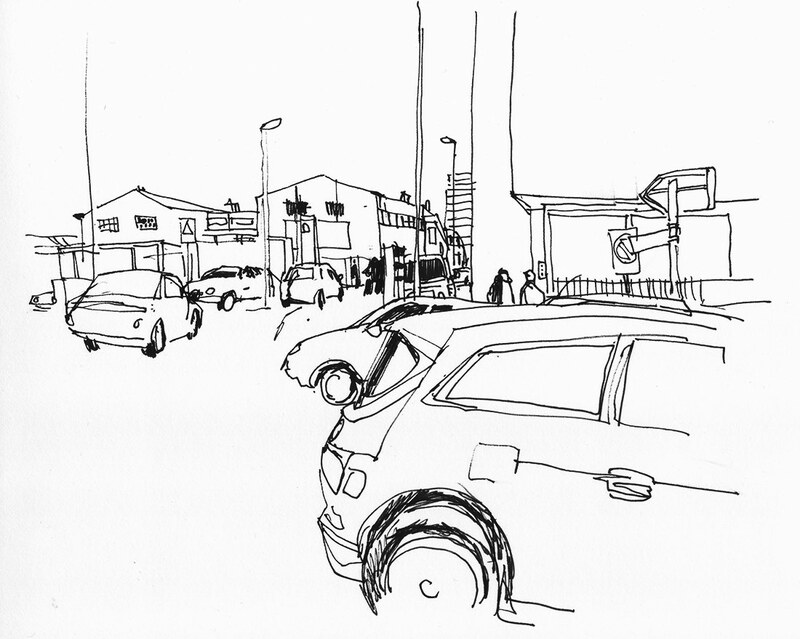 I sat in front of the supermarket and sketched for around ten minutes. Not a very picturesque place but trying to sketch the traffic in motion was quite fun. Renting a car for self drive in Chennai, Mumbai, Bangalore, Delhi, Kolkata, Hyderabad, Bangalore, Pune, Ahamedabad and all cities. We are self driving cars provide and terms and conditions follow our process.